With the release of the Department of Labor’s fiduciary rules for financial advisors dealing with client retirement accounts, much of the focus has been on the impact on advisors who provide advice to clients on their IRA accounts. Long before these new rules were unveiled, financial advisors serving 401(k) plan sponsors have had a fiduciary responsibility to act in the best interests of the plan’s participants under the DOL’s ERISA rules. Starting in 2012, retirement plan sponsors have been required to disclose the costs associated with the investment options offered in 401(k) plans annually. As an illustration, here’s how the various share classes offered by the American Funds for retirement plans stack up under the portion of the required disclosures that deal with the costs and performance of the plan’s investment options. While the chart above pertains only to the EuroPacific Growth fund, looking at the six retirement plan share classes for any of the American Funds products would offer similar relative results. R5 and R6 have no 12b-1 fees. The R1 and R2 shares have traditionally been used in plans where the 12b-1 fees are used to compensate a financial sales person. This is fine as long as that sales person is providing a real service for their compensation and is not just being paid to place the business. If you are a plan participant and you notice that your plan has one or more American Funds choices in the R1 or R2 share classes in my opinion you probably have a lousy plan and you are overpaying for funds that are often mediocre to poor performers. It is incumbent upon you to ask your employer if the plan can move to lower cost shares or even a different provider. The R3 shares are a bit of an improvement but still pricey for a retirement plan in my opinion. That evaluation has to be made in the context of the plan’s size and other factors. Approaching retirement and want another opinion on where you stand? Need help getting on track? Check out my Financial Review/Second Opinion for Individuals service for more detailed advice about your situation. NEW SERVICE – Financial Coaching. Check out this new service to see if its right for you. Financial coaching focuses on providing education and mentoring in two areas: the financial transition to retirement or small business financial coaching. FINANCIAL WRITING. Check out my freelance financial writing services including my ghostwriting services for financial advisors. Please contact me with any thoughts or suggestions about anything you’ve read here at The Chicago Financial Planner. Don’t miss any future posts, please subscribe via email. Check out our resources page for links to some other great sites and some outstanding products that you might find useful. The Bull Market Turns Seven Now What? On March 9, 2009 the market downturn fueled by the financial crisis bottomed out as measured by the S&P 500 Index. On that day the index closed at 677. Yesterday, on the bull market’s seventh birthday, the index closed at 1,989 or an increase of about 194 percent. According to CNBC the Dow Jones Industrial Average has increased 160 percent and the NASDAQ 267 percent over this seven-year time frame. 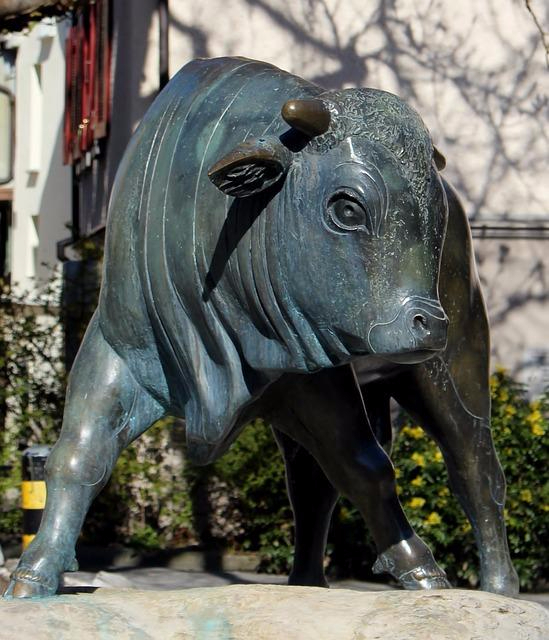 With the bull market turning seven, now what? Here are some thoughts and ideas for investors. How does this bull market stack up? According to data from the most recent quarterly Guide to the Markets report from JP Morgan Asset Management, the average bull market following a bear market lasts for 53 months and results in a gain of 153%. By both measures this bull market is a long one. Does this mean that investors should brace for an imminent market correction? Not necessarily but bull markets don’t last forever either. There have been some speed bumps along the way, including 2011, a sharp decline in the third quarter of 2015 and of course the sharp declines we saw to start off 2016. Again this is not an indicator of anything about the future. Additionally, Apple (APPL) closed at a split-adjusted $11.87 per share on March 9, 2009. It closed at $101.12 on March 9, 2016. The CNBC commentator cited giant retailer Walmart (WMT) as a stock that has missed much of the bounce in this market, as their stock is up only 42% over this time period. What should investors do now? None of us knows what the future will hold. The bull market may be getting long of tooth. There are factors such as potential actions by the Fed, China’s impact on our markets, the threat of terrorism and countless others that could impact the direction of the stock market. It seems there is always something to worry about in that regard. That all said, my suggestions for investors are pretty much the same “boring” ones that I’ve been giving since I started this blog in 2009. Control the factors that you can control. Your investment costs and your asset allocation are two of the biggest factors within your control. Review and rebalance your portfolio This is a great way to ensure that your allocation and your level of risk stay on track. When in doubt fall back on your financial plan. Review your progress against your plan periodically and, if warranted, adjust your portfolio accordingly. Contribute to your 401(k) plan and make sure that your investment choices are appropriate for your time horizon and risk tolerance. Avoid 401(k) loans if possible and don’t ignore old 401(k) accounts when leaving a company. Don’t overdo it when investing in company stock. If you need professional financial help, get it. Be sure to hire a fee-only financial advisor who will put your interests first. The now seven-year bull market since the bottom in 2009 has been a very robust period for investors. Many have more than recovered from their losses during the market decline of 2008-09. Nobody knows what will happen next. In my opinion, investors are wise to control the factors that they can, have a plan in place and follow that plan. I know and follow many of these people and read their blogs on a regular basis. There were a few that were new to me and I plan to add their blogs to my regular reading list as well. If you like to read about investing and financial topics this list is a great place to start. Long-time readers of The Chicago Financial Planner know that I am a die-hard football fan and avid supporter of the Green Bay Packers. Come playoff time, I try catch all of the games as they are often memorable. The game this past Saturday between the Pittsburgh Steelers and the Cincinnati Bengals was memorable for the wrong reasons if you are a Bengals fan. Rarely, if ever, in my 50 years of watching NFL games have I ever seen a team give away a game (especially a playoff game) in such a bonehead fashion as did the Bengals. Besides some just plain dumb moves, the level of dirty play and bad sportsmanship was disgusting. What can we learn from the Bengals about financial planning? Here are 3 financial planning lessons from the Cincinnati Bengals. The Bengals had gained the lead in the final quarter after being held scoreless for the first three quarters of the game. On what should have been a routine running play, (in the Steelers end no less) to try to run the clock out, the Bengals’ running back fumbled. In this situation ball security should have been his first priority, not gaining any yardage. Unless you are very young, most investors are wise to diversify their portfolios in order to dampen the impact of market declines like the financial crisis or even the market volatility that we’ve seen since the start of the new year. Cincinnati linebacker Vontaz Burfict made a key interception that looked like it might seal an improbable comeback win for the Bengals. After the fumble mentioned above, he proceeded to make one of the absolute dumbest and dirtiest hits to the head of a Steelers receiver resulting in a key 15-yard penalty. His teammate (and I’m sure fellow Mensa member) Adam Pacman Jones then garnered another 15-yard penalty for shoving a Pittsburgh assistant coach during an on-field altercation that set-up a chip-shot game winning field goal for the Steelers. Burfict is known as a loose cannon and has been fined in the past and Jones is not a choir boy either. Both personal fouls can be attributed to a combination of bad judgment and a failure to keep their emotions in check in a key situation. Investors need to stay calm during periods of upheaval in the economy and the financial markets. So far 2016 has started off with roughly a 5% loss in some the major market averages. Back in 2008 and early 2009 the financial press was filled with stories of investors who panicked and sold out of their stock holdings, including mutual funds and ETFs, at or near the bottom of the market. Many of these investors stayed out missing all or most of the six plus year rally we’ve seen since the lows of March 9, 2009. Sadly, for those who were near retirement they booked substantial losses and never gave their portfolios a chance to recover. Investors need to stay calm. One way to help in this area is to have a plan. Have an asset allocation that that reflects your situation including your time horizon for the money and your risk tolerance. Review your portfolio at regular intervals and rebalance as needed. A plan does not eliminate market volatility or the stress that it can bring, but it can help to prevent you from acting on your emotions, usually to your detriment. While both Burfict and Jones are talented players, both have a history of issues. Jones has been in trouble with the NFL for off-field activities and has been suspended by the league in the past. Burfict was suspended for this hit and has been fined for prior transgressions. He was undrafted, many say as a result of a reputation for being hard to deal with. As a viewer of the game I would say these two players let their teammates and fans down at the most critical point in the most important game of the season. The Bengals have not won a playoff game since 1991 and their comeback to take the lead and put themselves into a position to win was heroic, only to be destroyed by the lack of self-control of these two. In the course of accumulating money for goals such as retirement and college for your kids, many of you will seek advice along the way. In doing so it is important to build a team of advisors and partners that you can trust. 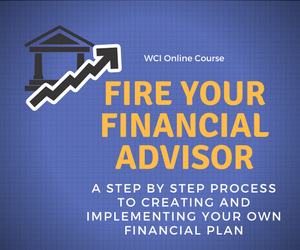 If a financial advisor is needed be sure to choose a fee-only advisor. This isn’t to say that one who derives some or all of their compensation from the sale of financial products isn’t competent, but someone who doesn’t have the conflict of interest inherent in the sale of financial products starts out as more objective. Choose a fee-only financial advisor to minimize conflicts of interest. Find an investment custodian who has reasonable fees and offers the types of investments and accounts that meet your needs. Free ETF platforms are nice, but who cares if the ETFs on the platform are not the ones that are right for you. Other advisors might include a CPA or an attorney to handle estate planning matters. In all cases don’t be afraid to ask questions. In the case of a financial advisor it is important to understand if they have worked with clients in similar situations as you and to understand what you will receive for the fees paid. As I’ve written here in the past, football and the world of financial planning and investing have some similarities. Learn from the Cincinnati Bengals and be sure to protect your financial downside, keep your emotions in check and build a team that you can trust. These steps will put you on track towards achieving your financial goals. Please contact me with any thoughts or suggestions about anything you’ve read here at The Chicago Financial Planner. Don’t miss any future posts, please subscribe via email. For those of us involved in financial services it is hard to check your Twitter stream or visit an industry website without seeing the term smart beta. ETF providers have really taken to this trend and have introduced many new ETFs based on some aspect of smart beta. Nobody follows a trend quite like the folks who market mutual funds or ETFs and smart beta is the hip thing that all of the “cool kids” are doing. At a recent ETF industry conference sponsored by Morningstar (MORN) this was virtually all anyone was talking about in the sessions I attended. What is smart beta and is it really smart? Are smart beta ETFs the next big thing in ETF investing? We will attempt to expand on that definition a bit below. Most smart beta ETFs take an aspect or a factor from a traditional index. Traditional index ETFs passively track a market value weighted index like the S&P 500. Some popular factors include low volatility, momentum; equal-weighted indexes, dividends and quality are common factors. An equal-weighted index would give equal weighting to a huge stock like Apple (APPL) and to the smallest stock in terms of market capitalization in the S&P 500 Index. An example of a smart beta ETF based on a factor is the Powershares S&P 500 Low Volatility ETF (SPLV). This ETF invests in the 100 stocks in the index that have exhibited the lowest volatility over the past 12 months. A sound idea in theory and perhaps ultimately in practice. Like many smart beta ETFs the inception date of SPLV was May 5, 2011 over two years after the low point of the markets during the financial crises. The index the ETF follows was essentially created in the lab via back-testing, much like the Peter Boyle character in the movie Young Frankenstein. This means that most of the “history” of this ETF is via back-testing and not real performance data. As a presenter at the Morningstar conference said, he’s never seen a back-test that did not yield a positive result. Looking at SPLV’s results, the ETF trails the S&P 500 index in terms of trailing three year returns 12.95% to 14.77% on an average annual basis for the period ending 10/19/2015. However for the year-to-date period through the same date SPLV has gained 1.27% versus 0.41% for the index. Looking at another measure, standard deviation of return which measures the variability of the ETF’s returns (up and down) over the three year period ending 9/30/2015, the standard deviation for SPLV is +/- 9.63% versus +/- 9.74% for the index. My guess is that a selling point of this ETF would be lower volatility but over the past three years the smart beta ETF is only fractionally less volatile than the index and an investor would have considerably less money if they had held SPLV over a more traditional ETF like the SPDR S&P 500 ETF (SPY). Is an investment in SPLV a bad idea? I don’t know because I have no idea how this ETF will hold up in a pronounced bear market. Yes it has performed better than the full index so far in 2015 including the volatility in August and September. How will it do if we hit a rough patch like 2000-2002 or 2008-2009? Good question. There were 444 smart beta products listed in the U.S. These products accounted for $540 billion in assets under management which was 21% of all U.S ETF assets. Of the new cash flows into ETFs over the past 12 months, 31% went into smart beta products. The assets in these products grew 27% over the same period. A quarter of new ETF launches over the past five years were smart beta products. Who uses smart beta ETFs? From what I have heard and read smart beta ETFs are being used largely by financial advisors and institutional investors versus individuals. You might say so what? These folks are likely investing your money either via your relationship with a financial advisor who may use them in a portfolio or use a TAMP (turnkey asset management program) program offered by a third-party to manage your money. Many, including me, view strategic beta as a form of active management. A presenter at the Morningstar conference suggested that any smart beta ETF with an expense ratio of 50 basis points or higher should not be considered as this is the lower end of the fee range for the better actively managed mutual funds offering an institutional share class. What does this mean for individual investors? Again I suspect that most of the money invested here will be institutional or via financial advisors. As an individual investor working with a financial advisor who suggests using smart beta ETFs in your portfolio, you should ask them to explain their rational. Why are these ETFs a better choice than an asset allocation strategy using more traditional index products? If you will using smart beta ETFs on your own, be sure that you fully understand the underlying index which was likely created post-financial crises via back testing. Understand that smart beta strategies may look good on paper but in reality they can take a number of years to prove themselves. Lastly understand that strategies that look good in testing may not work as well when millions of dollars are actually invested there real-time. Most financial advisors that I know are very deliberate in testing new products and investing ideas before using them with clients. With the rise of third-party advisors such as TAMPs and ETF strategists, financial advisors still need to understand the underlying products and strategies being used to invest their client’s hard-earned money. Smart beta is the next evolution of ETF investing or so say the firms trying to gather assets into these products. I’m not saying that smart beta isn’t an enhancement or that I am against new investing inovations. I am leery of any investment vehicle designed to solve a problem or fill a role in portfolios that have not gone through a full stock market cycle. With any investment vehicle that you are considering, be sure to fully understand the benefits, the risks and the costs. How smart is smart beta? We really won’t know until the market goes through a full cycle that includes a significant correction. Retirement plan sponsors are starting to get it, requiring 401(k) participants to hold company stock in their accounts exposes them to major fiduciary liability if the stock price tanks. That said it is still an option in many 401(k) plans. According to Fidelity about 15 million people own about $400 billion in company stock across 401(k) plans that they administer. Just ask former employees of Enron, Lehman Brothers or Radio Shack about this. All employees depend on their employer for a paycheck. If you add a high level of company stock as a component of your 401(k) account you have a recipe for disaster. If the company tanks you might find yourself out of job with no income. If this difficulty causes the stock price to decline you are not only unemployed but your retirement nest egg has taken a hit as well. There is no one right answer; this will vary on a case by case basis. Many financial advisors say the total in employer stock should be kept to a maximum of 5% to 10% of total investment assets. This not only includes stock held in your retirement plan but also shares held outside the plan as well shares represented by any stock options or restricted shares that may be held. In the past it was more common for companies to use their stock as the matching vehicle in the 401(k) plan and to require that it be held for a period of time. Both are less common today due to a number of lawsuits by employees against companies after significant declines in the price of their employer’s stock. Plan sponsors want to avoid this type of fiduciary liability. It is important to set a maximum allocation to your employer’s stock in your 401(k) plan and in total. Use increases in the stock price as opportunities to take profits and diversify. Within your 401(k) plan there will be no taxes to pay on the gains, though there will be taxes due down the road when taking distributions from a traditional 401(k). Make sure you fully understand any restrictions on selling company shares held in your plan. Often employees have the opportunity to purchase shares of company stock at a discount from the current market price. This is a great feature but the decision to purchase and how much to hold should not be overly influenced by this feature. If you leave your employer and hold company shares in your 401(k) plan consider using the net unrealized appreciation (NUA) rules for the stock. NUA allows employees to take their company stock as a distribution to a taxable account while still rolling the other money in the plan to an IRA if they wish. The distribution of the company stock is taxable immediately, at ordinary income tax rates, based upon the employee’s original cost versus the current market value. The advantage for holders of highly appreciated shares can be sizable. Any gains on the stock will qualify for long-term capital gains treatment where the rates are generally lower. For a large chunk of company stock the savings can be very significant. Note there are very specific rules regarding the use of NUA so it is best to consult with a knowledgeable financial or tax advisor if you are considering going this route. Holding excessive amounts of your company’s stock in your 401(k) plan can expose you to undo risk should your employer run into financial difficulty. You could find yourself unemployed and with a much lower retirement plan balance if the stock price drops significantly. Set a target percentage for your overall holdings of employer stock and periodically sell shares if needed to rebalance just as you would any other holding in the plan. Approaching retirement and want another opinion on where you stand? Not sure if your investments are right for your situation? Need help getting on track? Check out my Financial Review/Second Opinion for Individuals service for detailed guidance and advice about your situation. “Strong stock market encourages the resurrection of a bad practice – borrowing money against the value of your home to play the market. The horror story set out below is likely to be repeated if these practices continue. A married couple, both of whom were in their late 80s, was persuaded by their bank to take out 100% value equity line of credit against their home. They were then persuaded to turn these “borrowed assets” over to the bank’s securities subsidiary where they were told the return would easily exceed the cost of the credit line. The broker then advised the couple to put 95% of the total proceeds into a single stock. The securities account tanked, resulting in an almost 100% loss. In the meantime, the house dropped in value by $100,000, resulting in a foreclosure proceeding. The bank then refused to permit a $150,000 short sale to bona fide buyers. The husband died. The wife, who now lives in a constant care facility, is entering bankruptcy to force the bank to take the house. Aside from what would seem to be blatant investment fraud on the part of the bank and their advisory unit, this piece reiterates why using your home equity to invest in the stock market is such a bad idea. Here are a few specific reasons that I discourage this practice. Did you really forget the 2008 housing market crash this soon? For those with short memories an overinflated housing market crashed and triggered a meltdown in the economy and drastically reduced the value of many homes. We are still recovering from this and although home values have improved in many parts of the country we learned that home prices will not always go up and that real estate is not the safe store of value we were led to believe. To put this another way let’s say you tap your home equity to invest in the stock market. What if the value of your home decreases 10 percent, 20 percent or more? Now you have to pay back that home equity loan on a house that isn’t worth nearly as much as when you took out the loan. You could find yourself underwater on your home or worse in foreclosure. You could also find that your plans to fund a comfortable retirement or your children’s college education are out the window. What if your investments tank? Much like these poor folks in Mr. Ledbetter’s example above, not all investments are a sure thing. What happens if you borrow against your home equity to invest in the stock market and things don’t work out? If the specific investments you or someone else chose drop in value you are now stuck with investments worth less than your original investment and you will be stuck paying off the loan which is still based upon the amount borrowed. Even if you went with a few index funds and the stock market drops you will find yourself in the same boat. Again this is a great strategy to ruin your otherwise well-planned financial future. Who exactly is suggesting this idea? Like the poor folks in Mr. Ledbetter’s example take a look at anyone suggesting this idea to you with a very jaundiced eye. What is in it for them? Are you the only one with any real skin in the game? In the example above the bank won at last twice. They got the interest on the loan and their brokerage unit made money via fees and perhaps other sources on the investment side. They had no skin in the game and will likely come out whole even after the foreclosure. Generally, in my opinion, anyone who would suggest this idea to an investor is motivated by greed and does not have the best interests of their clients at heart. Using your home’s equity to invest in the stock market is just not a sound idea. There might be instances where tapping home equity to invest can be a good idea, but these are very limited and should only be undertaken by truly sophisticated investors who fully understand the risks involved. Fidelity recently polled nearly 600 high net worth investors to gain a better understanding of their thinking about the market and where they plan to invest in 2014. Notably, 43% of investors said they are planning to increase their investment in ETFs over the next 12 months. 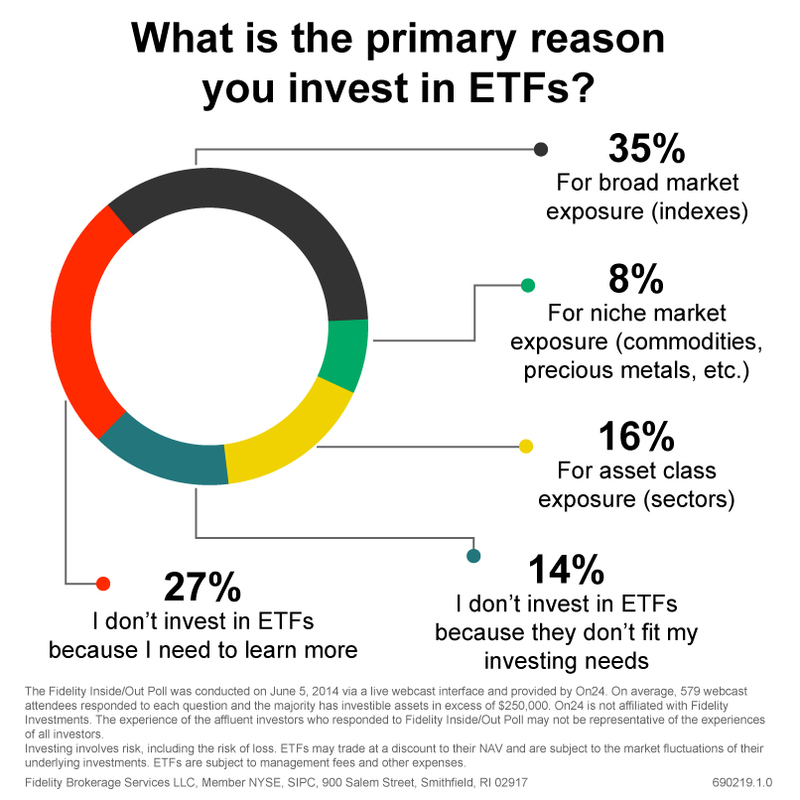 Fidelity created this graphic that highlights 5 reasons investors use ETFs (or don’t use them). Despite the small gains this year in the DJIA (1.6% as of June 5, 2014), 55% believe it will end the year up 5% or more. 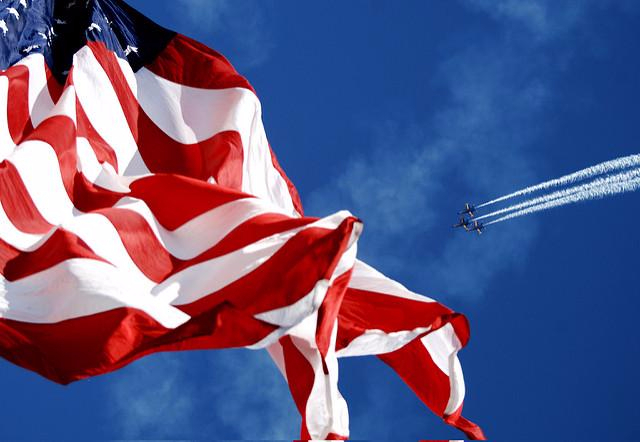 When it comes to the U.S. economy, investors continue to feel cautious. The majority (71%) feels it’s headed in the right direction vs. 29% who say it’s stagnant or headed in the wrong direction. 62% of investors also believe a market correction—when a major index declines by at least 10% from a recent high—is likely to happen in 2014. The indicators that would motivate the most investors holding cash to re-invest into the market are a stronger U.S. economy (28%) and higher interest (12%). 25% report holding no cash on the sidelines. Over half (59%) of investors prefer to grow their portfolio by investing in domestic equities vs. 18% in international equities. 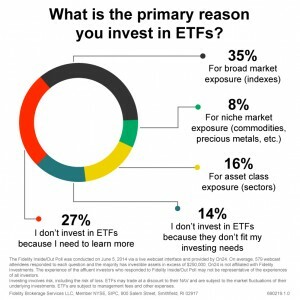 Over a third (35%) invest in ETFs for broad market exposure (indexes), while 27% of investors don’t invest in ETFs because they need to learn more. ETFs are generally transparent regarding their holdings. ETFs can be bought and sold during the trading day. This offers additional opportunities for investors. Stop orders can be used to limit the downside movement of your ETFs. ETFs can also be sold short just like stocks. Many index ETFs carry low expense ratios and can be quite cheap to own. Many ETFs are quite tax-efficient. ETFs can provide a low cost, straightforward way to invest in core market indexes. ETFs can be bought and sold just like stocks. In some cases this could serve to promote excessive trading that could prove detrimental to investors. ETF providers have introduced a proliferation of new ETFs in response to their popularity. Some of these ETFs are excellent, some are not. Many new ETFs are based on untested benchmarks that have only been back-tested. Additionally there are a number of leveraged ETFs that multiply the movement of the underlying index by 2 or 3 times up or down. While there is nothing inherently wrong with these products they can easily be misused by investors who don’t fully understand them. Trading ETFs generally entails paying a transaction fee, though a number of providers have introduced commission-free ETFs in order to gain market share. ETFs have proven to be a great innovation for investors. If used properly they are a great addition to your investing toolkit. Like any investment make sure you understand what you are investing in (and why) before you invest. Please contact me with any thoughts or suggestions about anything you’ve read here at The Chicago Financial Planner. Don’t miss any future posts, please subscribe via email. Please check out the Hire Me tab to learn more about my freelance financial writing and financial consulting services. 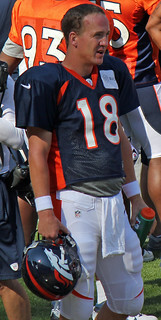 It will be interesting to see how Manning does in today’s Super Bowl 50 and whether he retires if Denver wins. I attended the Envestnet Advisor Summit at the Chicago Hilton in 2014. Excellent conference, Envestnet offers a robust platform for financial advisors. A colleague urged me to attend and I’m glad I did. The highlight of the conference was Peyton Manning’s keynote address on Friday morning. Regular readers here know that I am diehard fan of the Green Bay Packers, but I think all football fans have to respect Manning’s skill and his character. His address was about leadership and being a game changer. I felt that several of his remarks and comments have a direct correlation to being a successful investor. Manning made this reference in terms of it being a key trait of game changers. I think this is a key trait of successful investors as well. The investing landscape has certainly undergone change and disruption since the beginning of this century. We’ve experienced the bursting of the Dot Com Bubble, the financial crisis of 2008-09, the Flash Crash and many other disruptions. Successful investors adapt to change and embrace it to their advantage. In some cases this means knowing when to change their investing style, in others it means knowing when to stay the course. It also means knowing how and when to use new investing tools like ETFs and others. Manning mentioned this as a key trait of leaders in business and something that he does constantly in an effort to guide his team to even greater levels of success. Would I buy this particular investment today? Is there a better place for my money? What are your conflicts of interest in terms of advising me to make this investment? How does this investment fit into my overall portfolio? Manning cited the uncanny ability of 49ers great Joe Montana to lead his team to a touchdown on the series immediately following his having thrown an interception. This is a key trait for successful investors to adopt. I can’t tell you how many investors I’ve spoken to who want to hold a losing position until it breaks even. The ability to accept an investment loss is critical. Sometimes it is better to realize a loss and reinvest the proceeds elsewhere. Even the best investors make bad investing bets. The successful ones are capable of admitting this and moving on. Manning hired the current Duke Head Football Coach as his offseason coach to help him improve his quarterback skills. This individual was his offensive coordinator in college at Tennessee. This is Peyton Manning, 5 time MVP and Super Bowl champion hiring a coach to help him improve his game! Many investors do a great job of accumulating wealth and managing their investments. At some point even the most successful ones realize that they might need some outside expertise to take things to the next level. Perhaps this realization comes as their career and family obligations limit the time they can spend on their investments. Often this realization comes as retirement approaches. Hiring a financial advisor is not a sign of weakness; rather it is a sign that you realize the limits of your expertise and the best uses of your time. If you are at this point here is a guide to choosing a financial advisor that might help you. Peyton Manning spoke about leadership and did a great job of tying in his experiences as a leader in sports to what financial advisors need to do to lead clients to the successful outcomes they are seeking. As I listened to him speak I couldn’t help but see the relevance of his message to what I believe it takes to be a successful investor in today’s dynamic investing world. Each quarter Dr. David Kelly and his staff at JP Morgan Asset Management publish their Guide to the Markets. This is a comprehensive chart book of investment and economic data that I find invaluable. For the past several quarters the Guide has included this chart which as a long-term investor should be quite important to you. The chart depicts the range of average annual returns for stocks, bonds, and a combination of the two over rolling 1, 5, 10, and 20 year periods from 1950 through 2013. In my opinion every investor should understand the impact of diversification and time on their investments as depicted on the chart. The green bar depicts stocks, the light blue bar depicts bonds, and the grey bar depicts a 50-50 mix of the two. As you can see the greatest volatility of return occurs over rolling 12 month periods. The range of a 51% gain to a 37% loss in a 12 month period is huge. The range for bonds is more compact and the range for a 50-50 mx of stock and bonds is slightly more compact. As you move out to the 5, 10, and 20 year ranges you will note that the ranges from the largest gains to smallest (or a loss) become smaller with the passage of time. Also of note is that in no 5, 10, or 20 year rolling time frame depicted does a 50-50 mix of stocks and bonds result in a negative return over the holding period. Diversification dampens the variability of your returns. As you can see from the chart stocks have a wider range of returns over all of the periods depicted than do bonds. Combining the two tends to dampen the volatility of your portfolio. Further enhancing the benefits of diversification is the fact that stocks and bonds are not highly correlated. Taking this a step further, while an investment in an index mutual fund like the Vanguard 500 Index (VFINX) would have lost money if held over that 10 year period 2000-2009, a portfolio that was diversified to include fixed income, small and mid-cap funds, international equities, and other asset classes would have recorded gains during that same time period. Time reduces the volatility of returns. I will leave any scientific explanation to those more attuned to this than myself, but certainly part of the reason are the ebbs and flows of market and business cycle factors that have an impact on stocks and bonds. These might be recessions, interest rate movements, or other factors. Diversification among assets with low correlations to one another further reduces risk. Diversification is important because we have no way of knowing which investments or asset classes will perform well or poorly or when. A longer holding period will generally serve you well as an investor in terms of smoothing out portfolio volatility. While every investor is different as is every investment environment, diversification and patience can be two of your greatest allies.